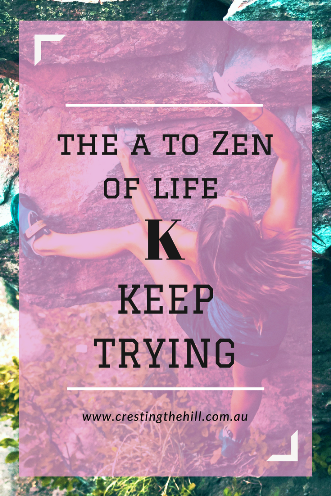 The next letter of my A to Zen of Life (via the Dalai Lama) is K for Keep Trying - no matter how hard it seems. Yesterday's post was "Just Do It" - which really focused in on making a start - today's post is about building on that start - because everything in life is a journey (not just a beginning or an end). In today's world of instant gratification we all want to be experts in everything we do. 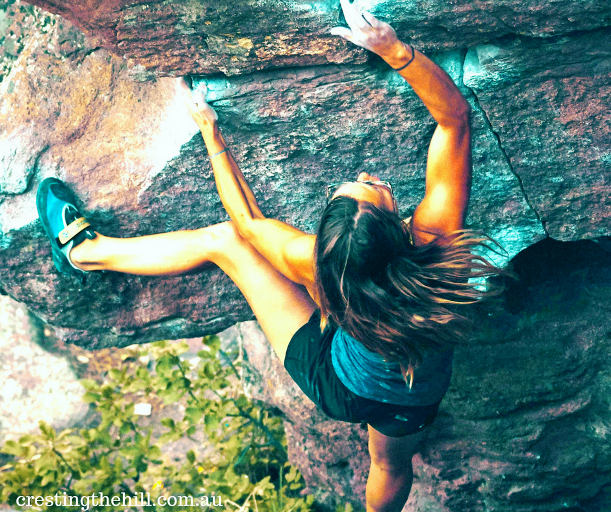 The hard slog of gaining wisdom and experience is skipped over and we want to arrive with all the bells and whistles - and with no failures and do-overs along the way. Unfortunately life doesn't work like that. We learn from our mistakes and if we give up at the first (or second, or even third) hurdle then we miss out on the satisfaction of finally achieving what we set out to accomplish. How many of us who have been blogging for more than a few months, have thought of giving it all away? So many bloggers I've met since I started have drifted off when they didn't become overnight sensations, when they didn't make big dollars from their blogs, or when the commitment to writing regularly just got too much. I've been down the track of feeling like it's all a bit much too. Last month I even wrote a post about how it felt like my Blogging Muse had deserted me. It can be tough to push through those days/weeks/months when you don't feel particularly inspired. Sometimes the easy way out is to just quit and move on to something new, find a new hobby, fill your time with a new interest, or just read a book. There's nothing wrong with moving on if you feel like you've reached the end and there's nothing else to write. BUT....if it's just a dry spell, if you just feel a bit weary of it all, but still feel like you'd miss it if you stopped, then maybe you just need to take the "slow and steady approach". Write less, but keep writing. Change direction, but keep going. Take a short break, but keep coming back. Comment less, but keep the connections alive. Reduce your social media time, but keep what's fun. It's all about keeping on trying and keeping on following your dream. Don't give up at the first (or second, or third) hurdle - keep doing what you love. Do you ever feel like throwing in the towel - especially when it comes to blogging every week? How's it going doing a post a day for the AtoZ? So many don't make it through to the end, but for those of us who get to "Z" it's such a blast! Don't give up - keep putting one foot in front of the other - push through and we'll celebrate at the end of April! Generally don't have too much trouble 'keeping on' with things - mainly because, with time, I learned to not take on more than I knew I was capable of seeing through. Also, if had more than could do, became excellent at prioritising. Yes sometimes it feels that nothing works no matter how you do it or how much you do it. My trick is to take a break at that point and assess it - is it worth going forward? Maybe change the way I was doing it to see if that works. I've been doing prison ministry and writing to a man who is struggling with giving up and reverting back to his old ways. Change can be difficult - especially positive change. 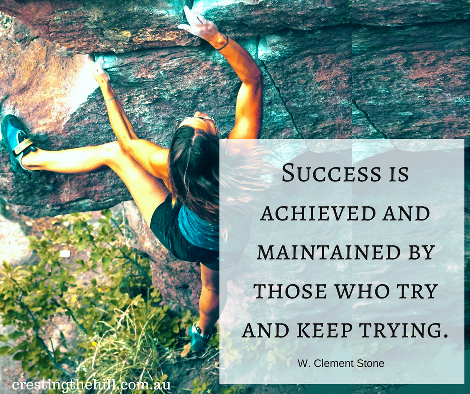 Yet, sticking with it - keep trying, as you've written - is vitally important to keep moving forward and improving your life. I've come too close to giving up more than once. But here I still am. I agree with your thoughts. Sometimes I just needed to step back a bit and reassess what I was doing and what I wanted to achieve from my writing. Usually after a lighter week or two, I'd get re-inspired and be back in the thick of it. Great post Leanne! My blogging cut way back when I moved in with my parents, because my blog is anonymous and I couldn't write if I thought they would see me doing so. I have gradually picked back up, a bit, but you're right - a lot of people shut down. The blogging community I was a part of was suddenly non-existent! I have found writing prompts can help me get back in the mood to write. Leanne, just the post I needed to read today. Thanks for your wisdom. Oh yes Leanne, I've been thinking about throwing in the towel on the blogging front for a while now. But I'm not sure who I am if I don't have that. Plus I have a heap of books I feel like I need to review. I have felt like giving up many times, but then what would I do? It's been fun having this time with my moms, so I take that as my reason to continue!!! There must be a reason why this is the second post I've read today about keeping at it and not giving up because one hasn't become an over night blogging sensation or earned a lot of money from blogging. I always have so much to say that I can't imagine giving up blogging and I've been doing it for long enough now to know that becoming hugely famous through blogging rarely happens. What does happen is finding lovely people on the internet, people you keep coming back to and whose writing you enjoy. This is a wonderfully well written post Leanne. I have little Dory in my head, "Just keep swimming! Just keep swimming. Swimming. Swimming." It keeps me going! I certainly have times when I just can’t seem to write anything. Was her close to closing down my site. But the more I thought about stopping, the more I knew I needed to keep it. I feel so much more like ‘me’ when I am writing. Every week I wonder if it's worth it. It must be. I'm still at it, and my blog improves all the time. It is better to look at how far you have come, than how far you have yet to go. The first shows your progress while the latter only leaves you feeling discouraged. I'm glad you wrote this post, Leanne. It's so much less lonely when we have one another to talk with about how we're feeling. I'm in a really good place with my blog right now, but I know that this too shall pass. And then so will the desire to stop blogging when I hit those points. As you say, keep putting one foot in front of the other. Keep going. As for the A-Z challenge, I'm absolutely loving it. I was disheartened by the bloggers I've tried to follow who never replied to any of my comments, never visited my site. My day after day reading of their words and attempts to connect felt akin to throwing a coin into the ocean. Useless and pointless. But, like Heather, I choose to focus on the great women I've met through this challenge, not the ones who didn't want to be bothered talking with me. Yes yes and yes. I go through stages - especially if I'm strugging (as I am now) in the day job. At the moment I've all but stopped my astro blogging - for now. I can't do it all & my priority is to build my personal audience as my priority is my fiction. Then I stress about numbers there. Knowing my why keeps me going. I don't know how you are managing to write every day, once a week is all I can handle, and some weeks that is even difficult. Though I want to write more or participate more I know I can just do what I can realistically do. If my blog becomes an unpleasant chore then what is the point? The overall topic of not giving up is an important one that I teach my son. There is a downside to it, though. Some people are too stubborn to ever quit even if they should because trying harder is killing them? Leanne, catching up on the letters. K, L and M all in one day! I've learned to balance where I need to keep trying, keep doing and where I need to Let go. (haven't read many of the L's yet... hah). Some things it is better to Let go than to keep trying. Blogging is one I've thought about stopping a few times... but then I look to see what is brings to my life and I'm back in. It's not about the money... it's about the connections and the inspirations and the joy I get when a blog post I'm writing comes together. I am getting a lot of inspiration for life in these many A -to-Z posts all my friends are writing. If I had stopped blogging when I thought about it, I would have missed that.